A pergola offers the best of both worlds: access to natural light when you need it and protection from the harsh Texas sun when you don’t. You’ve probably already considered all the benefits of installing a pergola on your property, such as having an elegant space to entertain guests and a comfortable spot to enjoy the great outdoors with your loved ones. A pergola is a gorgeous enhancements to your home. These architectural features can provide you with an outdoor oasis to allow you to enjoy your yard all year long. 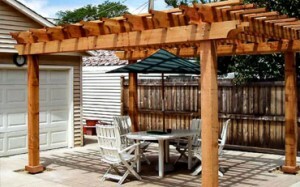 At Philip’s Fences, we will work with you to design the pergola that is the perfect fit for your backyard. 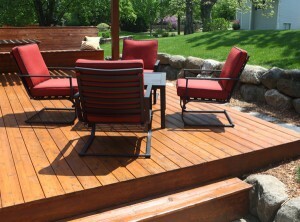 We are general contractors who specialize in building the highest quality decks available. We are a deck building company that provides beautiful custom decks made to your specifications with the finest materials and craftsmanship. We work with you to create your ideal deck design so that the deck we build works with your home, is designed for your intended uses, and is exactly what you are looking for. Our deck building team takes great care to make sure every detail, from the initial design to choice of materials to top quality deck construction provides you with a beautiful deck that you can enjoy for years to come! Gain a comfortable, inviting outdoor living space while adding value to your property. Give your deck some character or add an interesting focal point to your landscape. A pergola makes it easy to experience the great outdoors in style. Call us today for more information our pergolas, decks, and outdoor living spaces!